Nursing students who apply for, and are awarded, scholarship funds are able to use the money towards paying off at least a part of their student debt. Grants, on the other hand, are funds that are awarded mainly to graduate students in order to assist them with funding a research project. Grants and scholarships are available all across the country but there are also those that are specific to residents of one state. Some programs are, furthermore, even more specific and will only be open to students who live in a certain county or who graduated from a certain high school within that state. Arizona is no exception in this regard and features several scholarship programs that have been developed specifically for Arizona-based nursing students. Scholarship programs in Arizona are funded and administered by, among other organizations, philanthropic societies, nursing associations, educational institutions and memorial trusts. Each program will, furthermore, have its own requirements for eligibility and those found in Arizona include eligibility criteria such as what course concentration a student has registered for and who their relatives are. There are also many more grant and scholarship programs offered in Arizona – especially by the University of Arizona – than are mentioned on this list. Students who are interested in finding out more about the available programs should review the websites of Arizona-based nursing schools, hospitals, nursing societies, health care databases and community organizations. 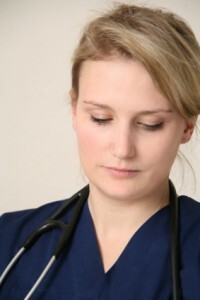 The overall objective of this program is to provide financial aid to Arizona nursing students. $500 is awarded to a deserving student every year and the deadline for the submission of applications is May of any given year. Applicants have to have maintained a minimum Grade Point Average (GPA) of 2.00. Priority will also be given to those applicants who are immediate family members of veterans. Other factors that will be taken into account when suitable candidates are selected include character, financial need and overall academic achievement. Further information concerning this program can be obtained directly from the American Legion Auxiliary, Department of Arizona, at 4701 North 19th Avenue, Suite 100, Phoenix, AZ 85015 (tel: 602-241-1080 and website: www.azlegion.org). Applicants must submit various documents along with their application including transcripts, a photograph, letters of recommendation and a statement saying why they want to follow a career in health care. Preference will again be given to family members of veterans and other factors that will also be taken into account include initiative, academic record and financial need. Further information can be obtained from the Legion Auxiliary (4701 North 19th Avenue, Suite 100, Phoenix, AZ 85015; tel: 602-241-1080; website: www.azlegion.org). Applicants must hold a bachelor’s degree in nursing from an accredited institution. Factors that will influence the selection process include the level of the applicant’s involvement in school and community activities as well as their academic record. Any student who is interested in applying for this scholarship can approach the Association directly at 222 South Prospect Avenue, Park Ridge, IL 60068 (tel: 847-692-7050 and website: www.aana.com). The university administers several scholarship programs that are available to both undergraduate and graduate students enrolled in its College of Nursing. Further information can be obtained from the college at The Office of Student Affairs, College of Nursing, Room 112, 1305 North Martin, Tucson, AZ 85721 (tel: 520-626-6154 and website: www.nursing.arizona.edu). Robin Aileen Klaehn Scholarship: here the applicant must want to pursue a career in Hospice, Palliative Care and Home Care, and priority will be given to graduate students. Are there any loan forgiveness programs for full time nursing professors/instructors? I am a Mexico resident residing in mexico though i have the USA visa. I wanted to study nursing in the Arizona, preferable cochise college if possible. But since i could not afford the money as international student, i want to ask if there is a scholaship for international student like me. Please i will appreciate greatly if i can get a scholaship, to study in usa. More now that i did my GED and pass the batery text.